Our Lady went on to thank her children in America for the honor they have shown her under her unique privilege of the Immaculate Conception as they worked to complete the Basilica of the National Shrine in our Nation’s capital. 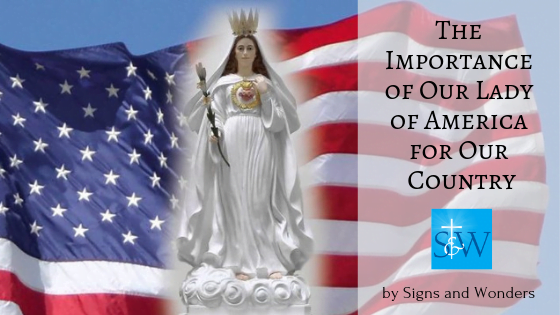 A few days later, on October 13, 1956, Our Lady again appeared as Our Lady of America, but instead of a lily in her hand, she held, with both hands, a small replica of the finished Shrine of the Immaculate Conception. Strong warnings were repeated by Our Lady throughout 1957 and 1958, and thereafter, indicating that the hour grows late and Sister must tell the Bishops of the United States of Our Lady’s desires and how she wishes them to be carried out. Our Lady bids Sister to pray and do penance that this may come to pass. 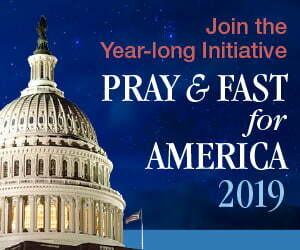 Learn more about this most important devotion in 28#3/4 or become a member today to receive this issue!